Although it’s a bit cold yesterday, my heart felt the warmth as hubby cooked me a bowl of noodles. 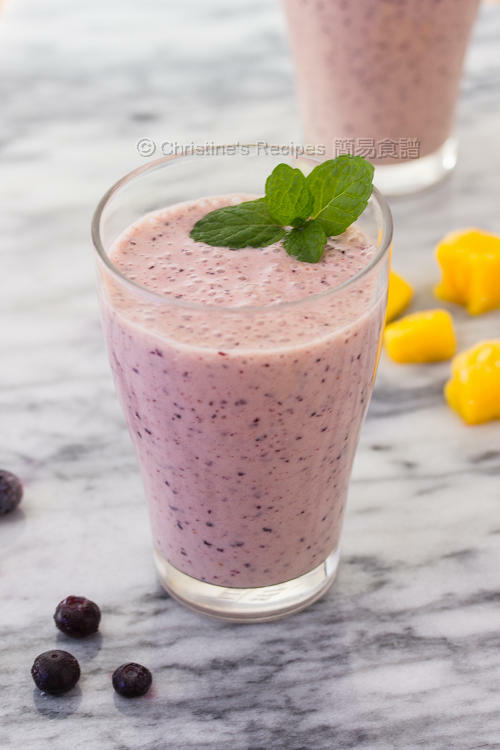 Then I returned him a glass of healthy, yummy mango blueberry smoothie. What surprised me was that the cold smoothie went really well with the hot noodles. 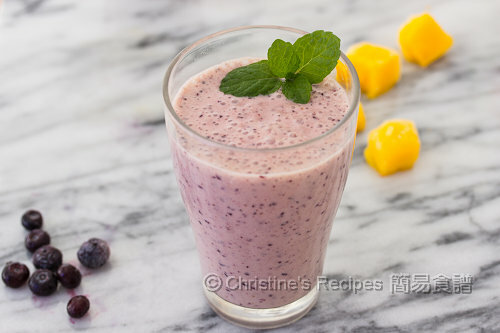 Blueberries are rich in vitamin C and antioxidants, blended with the juicy mangoes and creamy yoghurt as a result that I felt there’s nothing could beat this super healthy and delicious drink. Best of all, you can whip it up in minutes if you have a food processor or blender. This drink can be served as breakfast or light lunch as well. Put all ingredients in a food processor or blender and process until smooth. 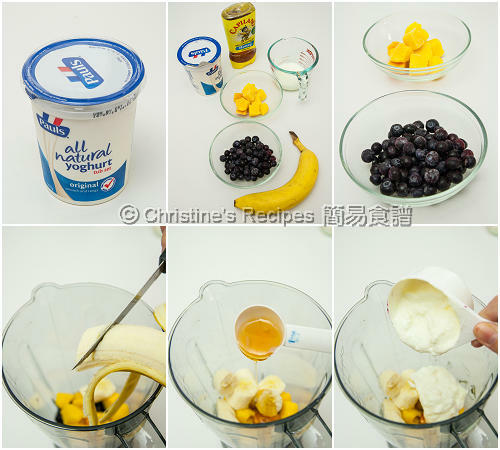 You can use fresh or frozen mangoes and blueberries. If they are fresh, freeze them before blending then you won’t need to add any ice cubes as a result your smoothie is diluted. DELICIOUS! I had one made with strawberries this morning for my 2nd breakfast. Love yours with blueberries! This looks delicious! I just love a fresh fruit smoothie!